On my way to the Google Cloud Summit in Munich on December 6, 2017, I jotted down some thoughts about both Google and Microsoft. Partly to take stock and partly to work out a convincing way to explain to companies why Microsoft isn’t the only - nor the best - option, and that they should instead consider working with Google and G Suite. I haven't done that in a long time. Here I am, on my way to a conference, where I will probably only understand a small portion of the presentations. At that moment I was not quite sure why I had made the trip. I know that we rely on Google to complement our now truly successful Atlassian offerings. This is what we use internally and so far it has worked smoothly for us. This system is what we as a company can really stand behind. The majority of our customers seem to use Microsoft and their solutions wherever possible. However, Microsoft and Atlassian don't really work well together. Atlassian itself relies entirely on Google and G Suite in order for its internal tools to fully function, and they no longer develop the SharePoint connector. Atlassian Confluence is perfect for encouraging employees to stop creating documents and instead work together on content in a central place rather than in isolated data silos. Most of the documents you work with aren't related, they're in separate files, right? Most of the things you write can’t be accessed by a colleague, can they? It's not the norm for your new content to be visible to everyone in the company, right? This lack of transparency is exactly what makes it almost impossible to deal with the complexity of the real problems facing you and your company every day... but you want to continue working in this way? Companies in Germany are far from ready to store all of their data in the cloud. Admittedly, more and more simply walk the path of least resistance. Many customers believe using Google to store data is the fastest way to go to hell, but this is not based on fact or reason. Only Facebook outranks Google on the “data protection infamy” scale. I was unable to build a deeper relationship with Facebook; I am still just a user. Even though our business partner Robert Castaneda from ServiceRocket thinks highly of Workplace by Facebook, I don't like it any more than Yammer by Microsoft. Microblogging is just one of many application requirements that a company has to meet. So instead we turned to Google. I used to be careful not to ruffle any feathers, and I admit that Microsoft is a global corporation and it has a technological mastery of what companies want. It doesn't seem particularly popular to openly oppose them, but it hasn't hurt us over the last 20 years to stand by our convictions. All these years later, I still think it’s been the right move. We want you to throw Office 365 (or the old MS Office) overboard... together with all your emails, too! This is by no means going to be easy, but if you use our system, we’re confident that it will work for you, as it has proven time and time again with our other customers. Microsoft has taken impressive steps under the leadership of their new CEO Satya Nadella. Much of what Microsoft does today can be considered useful, especially with regard to Office 365 and Microsoft Teams. These aren’t “bad” systems by any means. Having said that, Google and G Suite are simply better. While that statement may be bold, and I might not convince Microsoft fans otherwise, I hope that some of these posts let you compare the two and perhaps at the end of this article you’ll agree with me. That's why I chose to go to Munich. I wanted to know how others deal with the negative feelings toward and the prejudice against Google. I was looking for allies and to hear their experiences. When we started as Atlassian partners in 2008, we were all alone. Nowadays, guides, tutorials and example companies to learn from are standard onboarding, and that’s what I expect the Google ecosystem to provide us with. Our Tools4AgileTeams 2017 conference was a hit. We had roughly 200 participants, some of whom filled out a survey on G Suite. Many of our colleagues were unaware this feature existed. 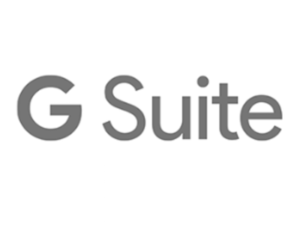 Few people currently know about the full range of G Suite features, but I am quite sure that this will change. G Suite has two huge advantages over Office 365: it is both better and cheaper. Watch out, Satya!